As you read this, we will be swiftly approaching the end of 2014. It was an interesting year in carnival glass. The ICGA convention was a great gathering with a very community feel. Air Capital had a convention with an online auction (that resulted in several humorous if heated moments as people gathered in a room furiously bid on their iPads, phones and laptops to try and get the pieces they so badly wanted.) The Poucher auction in September became the Largest Carnival Glass Auction Ever® with ¾ of a million dollars in sales, while a large audience of online viewers watched over the Internet across the world. Online auction broadcasts got bigger than ever this year with multiple cameras and running commentary and a sales tally. The Carnival Pump continues to evolve with its use of color, its editor who actively seeks out new ways to do things and its continued commitment to excellence. Barb Chamberlain also took over the ICGA carnival glass website, with its new version having launched earlier this autumn. The amount of carnival glass information, as well as the way it is shared, continues to grow. So what does 2015 bring us? First of all, Barb and I are cooking up new ideas for the website. If you haven’t visited www.internationalcarnivalglass.com (especially since the new website was launched), you really should. Lots of things are being experimented on there, all of which offer you more information, pictures, videos and more. The website is becoming a great companion to the Carnival Pump, so not visiting the site regularly is like reading only half the newsletter each quarter. 2015 brings us the new annual convention. It will be held once again at the Crowne Plaza St. Louis (same place as last year) before we head off to Shipshewana, Indiana in 2016. It will be held July 15-18th of next year, and features the auction of the Joan Steskal collection (and you know Joan collects GREAT glass, so it will be one of the best auctions of the year.) Our display room theme next year is Decorated Carnival Glass, and Cathy Dunham will be presenting about this interesting subset of carnival glass. 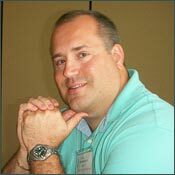 Lane Booker is also scheduled to speak, as well as what will be an amazing Banquet Seminar from Lee Markley (remember, he even had a heart attack to try and get out of it, but it didn’t work!) As usual, we will have many little surprises along the way.